Modern shoe designs are evolving. Today, you can wear shoes that look like a banana and you would only look unique and not weird. Fashion is no longer dictated by tradition, rather individual preferences are now being given priorities. This is the reason why shoe manufacturers are using unique and interesting ideas in creating new designs. 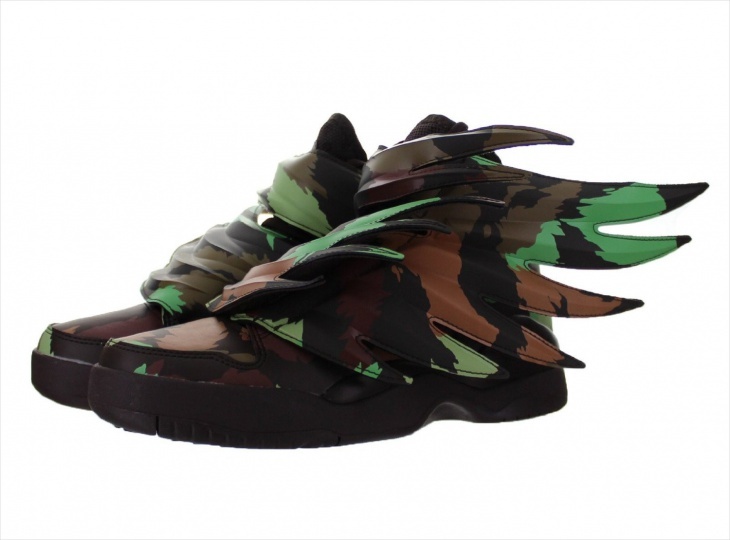 Aside from the fruity footwear designs, another popular new shoe trend is the winged shoe concept. 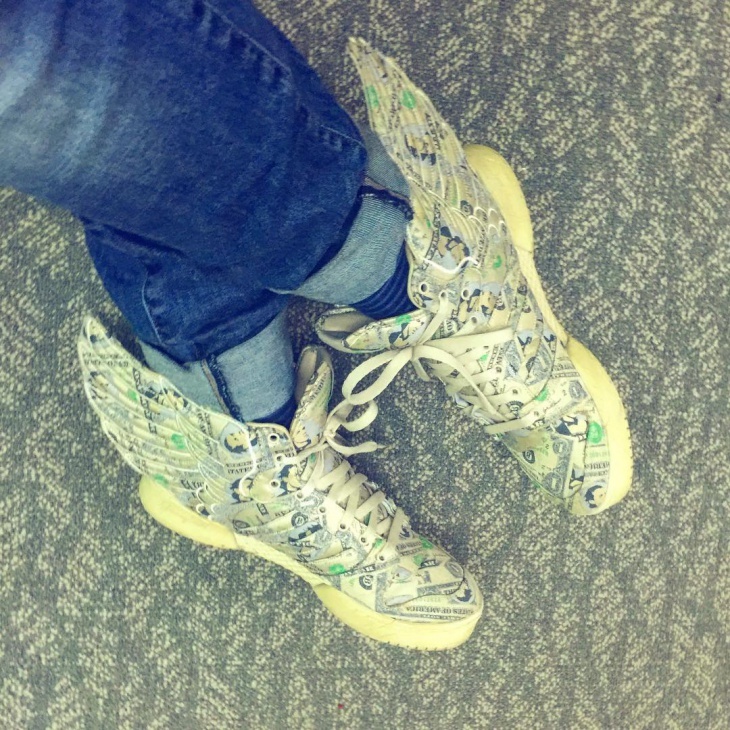 There are sneakers with spooky shoe designs, winged ballerina shoes, high heels with wings, Adidas Stan Smith Sneaker Trends and more. 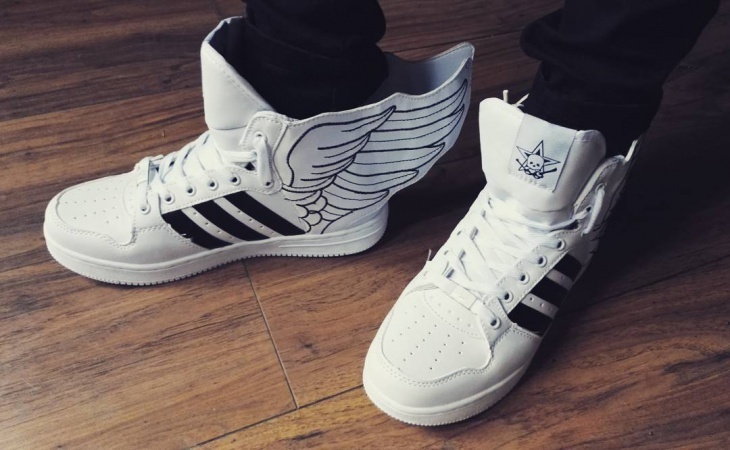 Adidas, being one of the most popular shoe manufacturers in the world, is of course not going to left behind with the winged shoe phenomenon. Thus, the Adidas wing shoes are here. These kicks are considered as great dance shoes. It is a masterpiece done in synthetic leather in camouflage design. 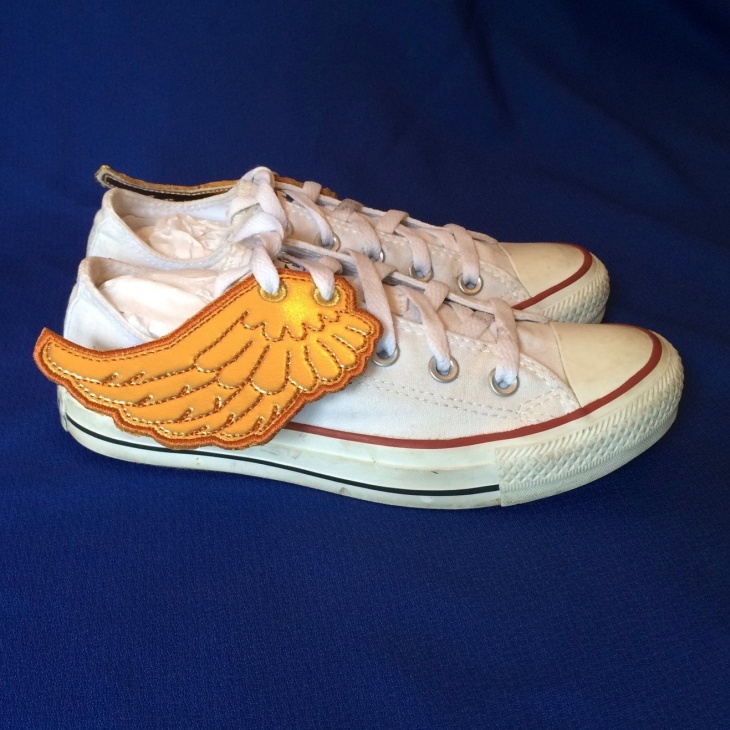 If you do not have the money to buy a pair of winged shoes, then why don’t you custom made your own? 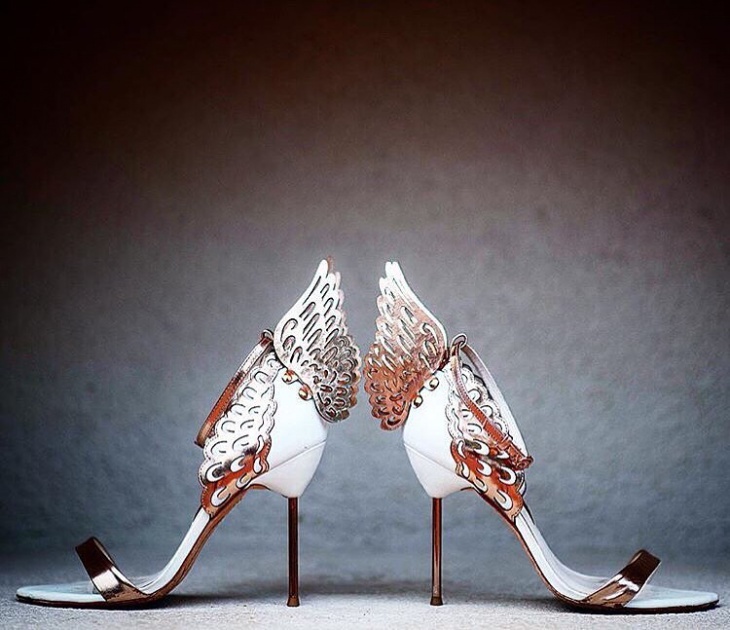 Take a look at this simple high heeled sandals that have been turned into an angelic footwear. With a little imagination, the right materials and skilled hands, golden wings have been added to perfection. Adding a little character into your favorite outfit is easy, just accessorize your feet with a nice leather winged shoes like this red-winged footwear. This would be the perfect shoes for a special romantic day or night out. 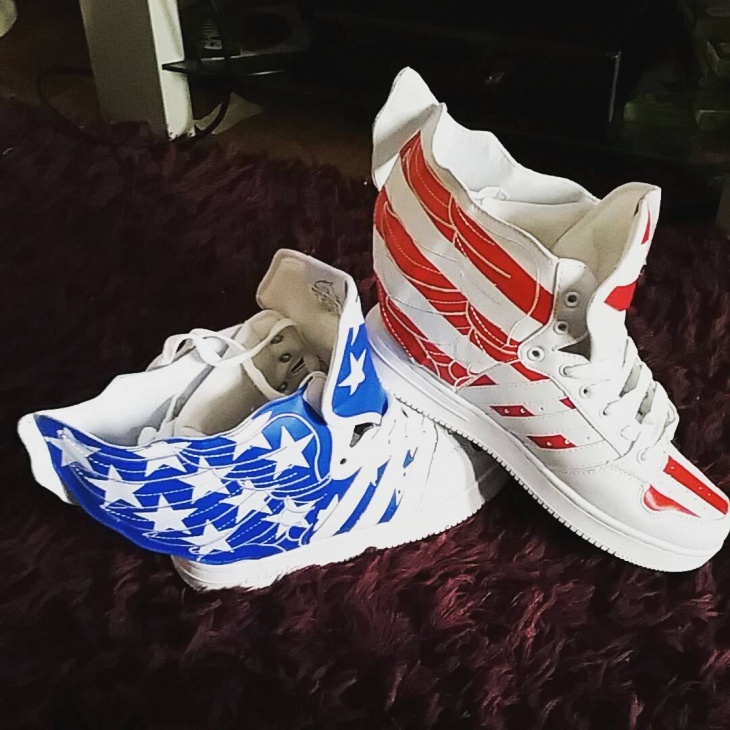 Do you like flashy footwear? 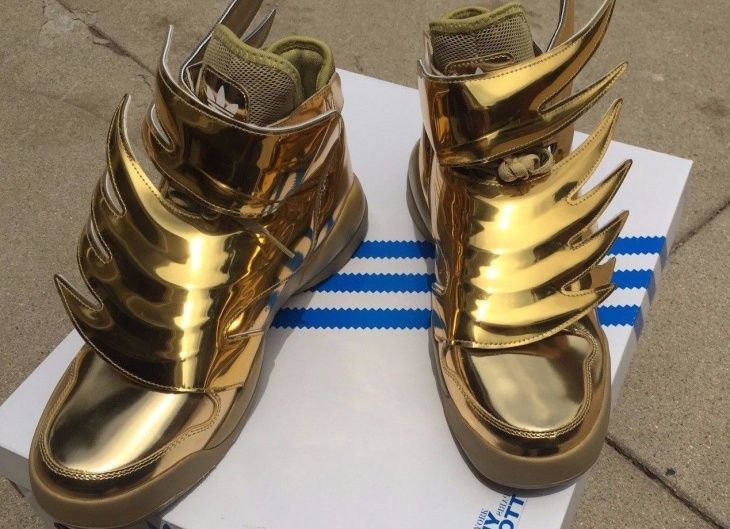 If so, these golden-winged sneakers from Adidas should be in added to your collection. This pair is definitely sporty and flashy. Ballerina flats are very comfortable to wear every day. They do come in different designs, though the styles are usually similar. 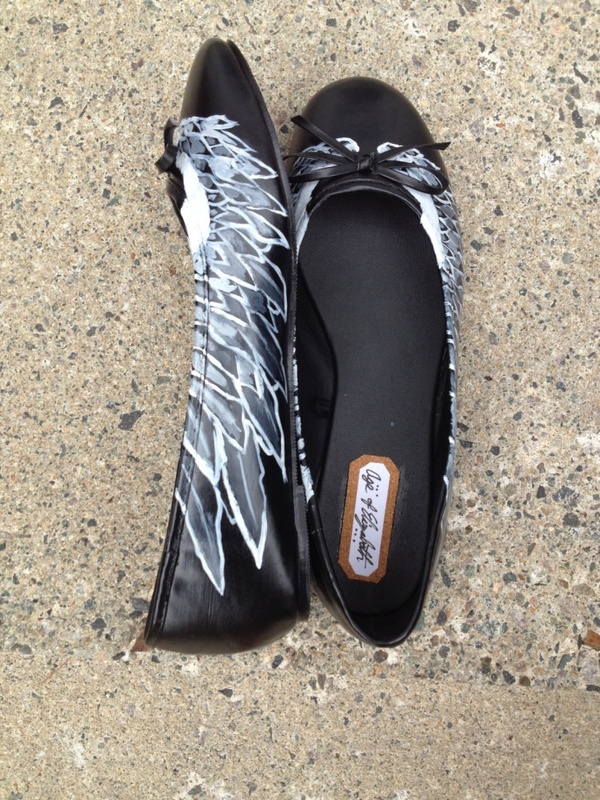 If you want a totally new look into your ballet flats, you may want a hand-painted (with wings and feathers) pair like this one. 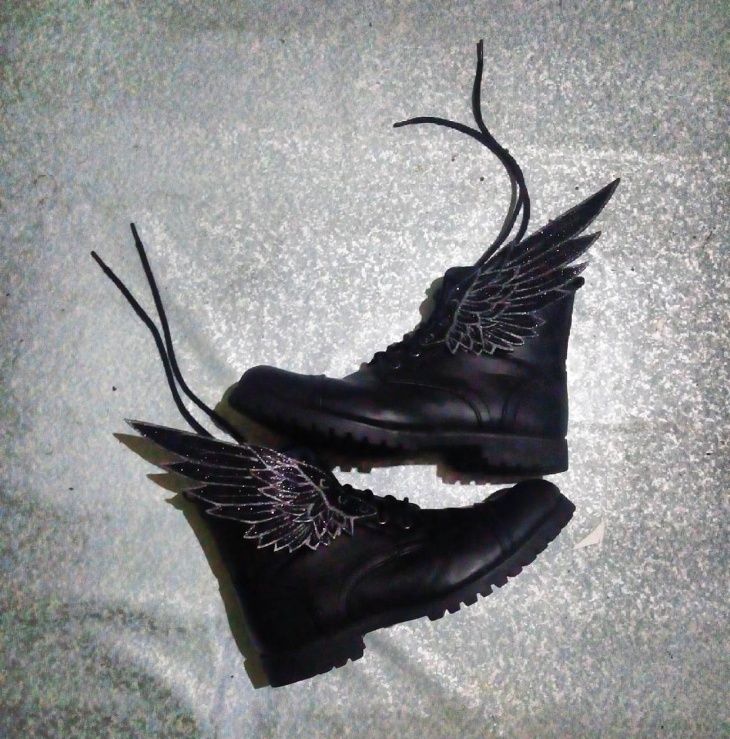 This pair of black leather semi-boots is made to look more stunning and unique by adding sparkling black wings. 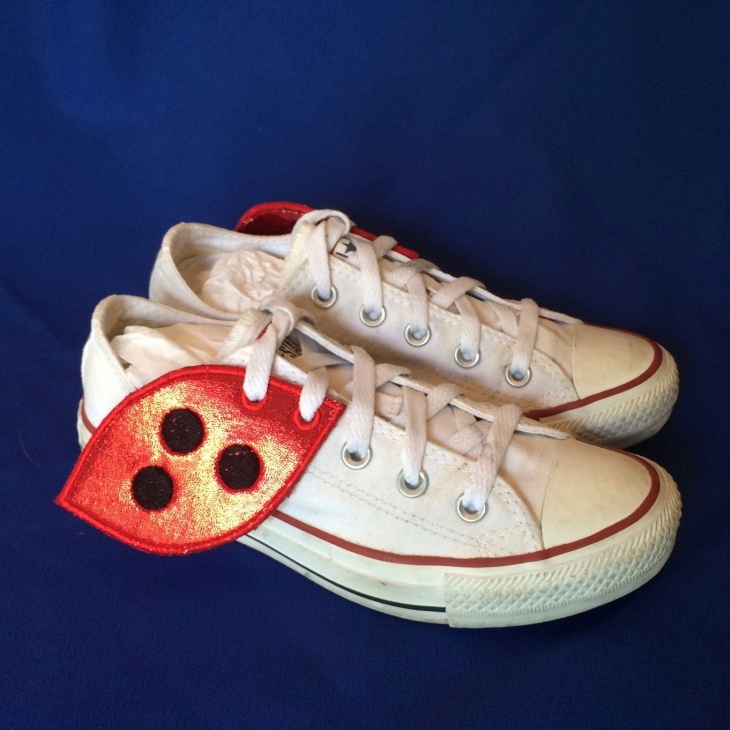 This is a perfect pair for those who are into cosplaying. 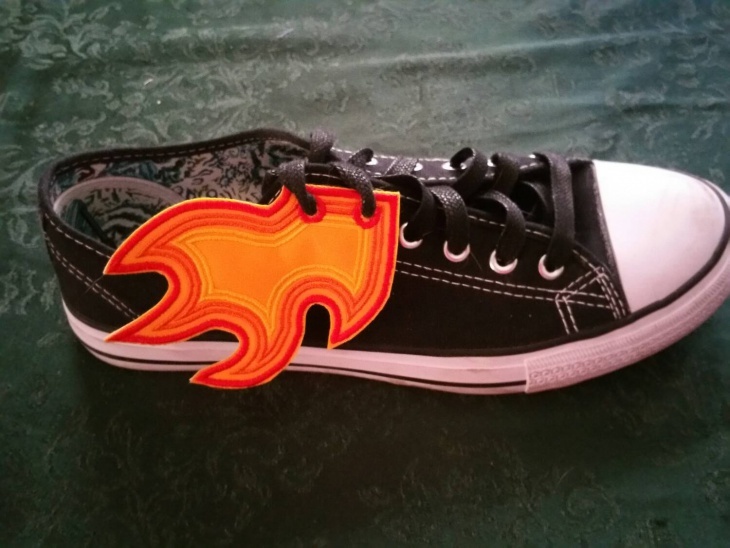 One good way of customizing your shoes is adding special features. 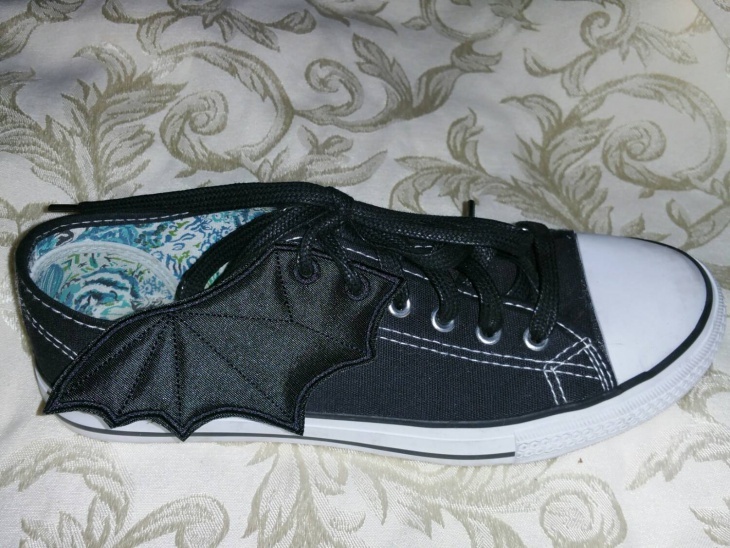 For this simple pair of sneaker, black fabric bat wings are added. 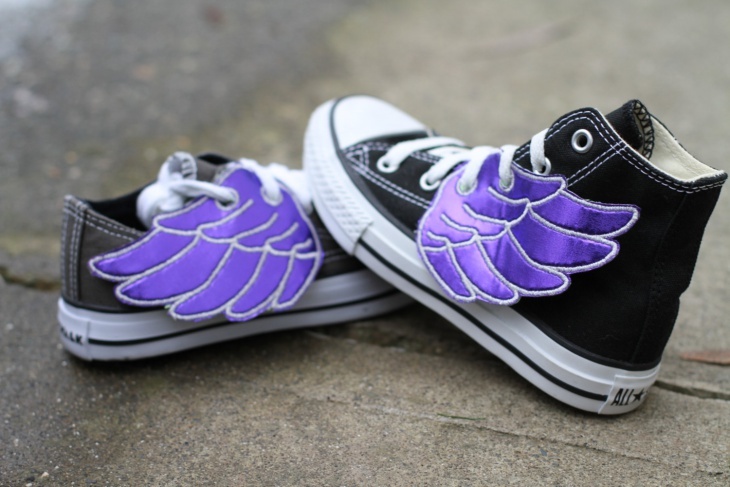 If you are a Converse fan and you like something unique and trendy to wear, then this winged shoes should capture your interest. 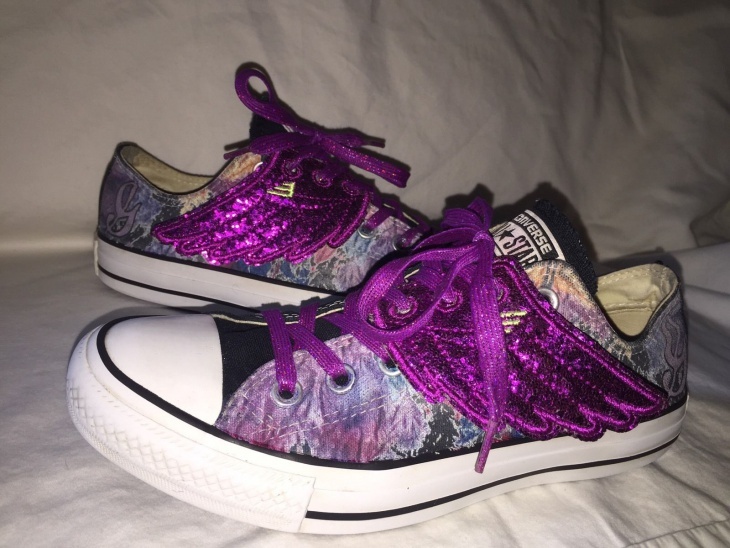 The shoes are designed with glittered purple wings over printed multi-color canvas. Adding special features into wedding shoes is one good way of creating a one-of-a-kind pair of footwear. 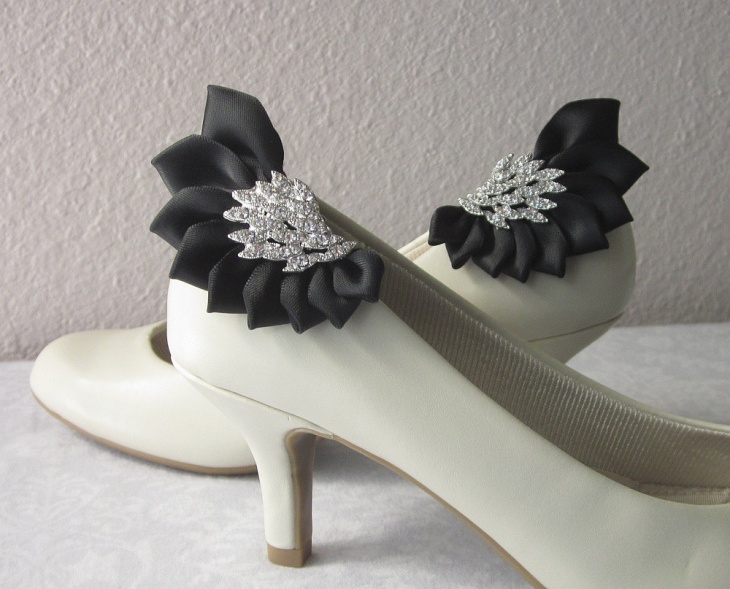 For this bridal shoes, custom-made shoe clips are used. The clips are made of satin ribbon petals joined together to form wings. To add class and sparkle, wing-shaped rhinestones are attached to the satin wings. There are several ways of creating your individual style. You can choose to buy trendy shoes or you can DIY. 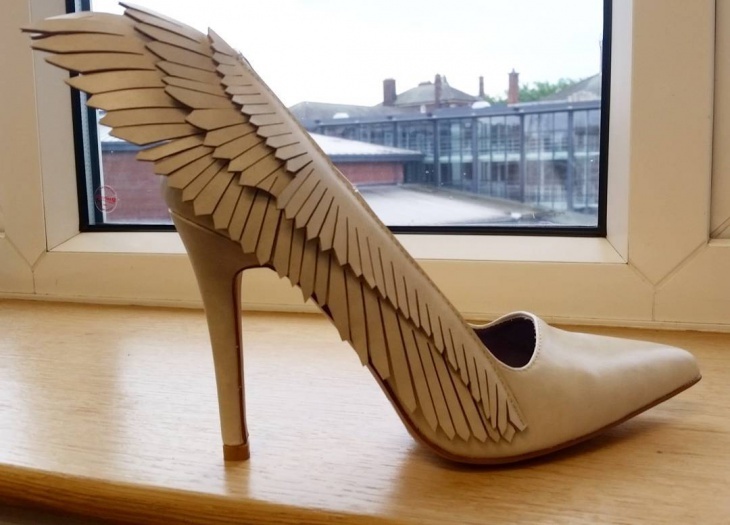 For winged shoe designs, the choices are plenty. 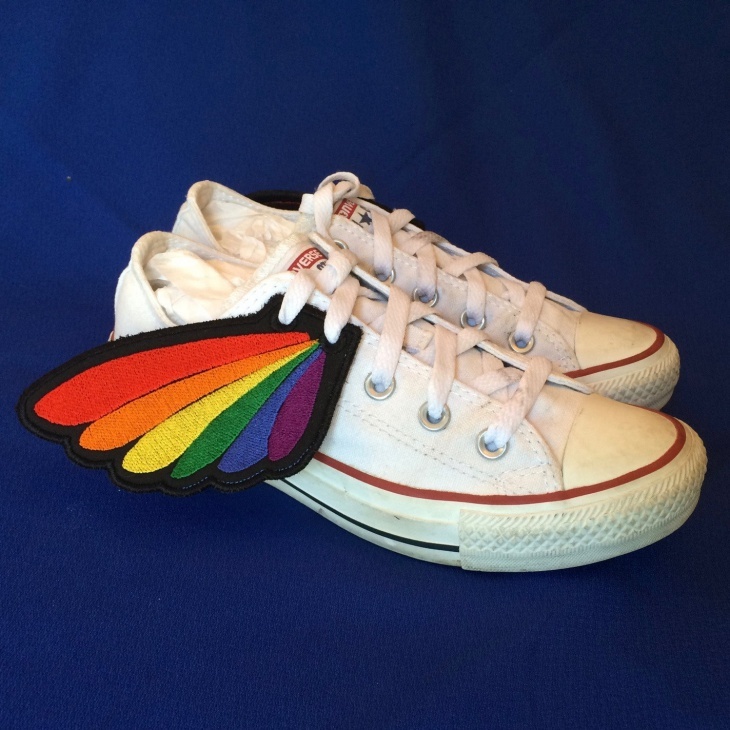 You can create your own wings that you can attach to your shoes or sandals. 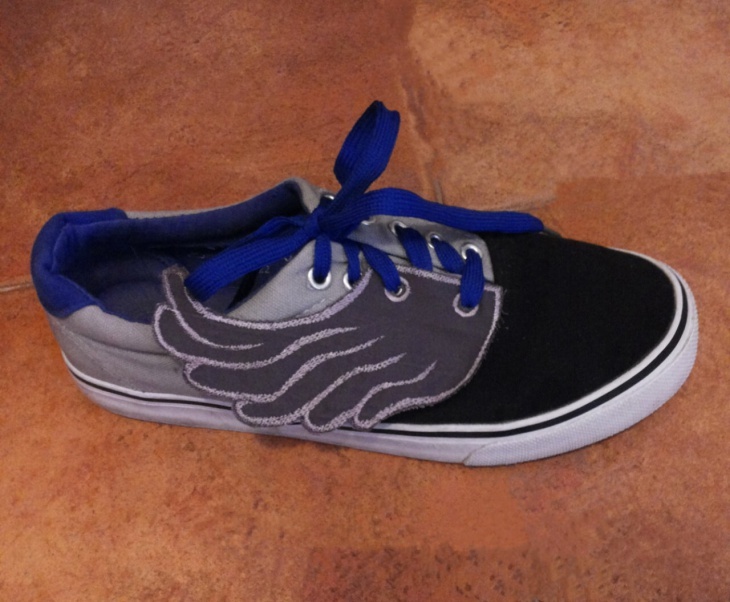 It is also possible to just order custom-made footwear in a winged shoe or comic book shoe designs.